The 22nd Congress of the Communist Party of India (Marxist) will take place from 18th to 24th of April 2019 at Hyderabad. Approximately 765 delegates will participate in the five-day session that will determine the party's political line for the next three years. 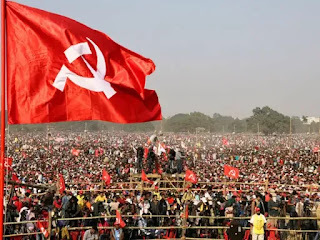 You can read the Draft Political Resolution for the 22nd Congress of the CPIM, adopted by the Central Committee meeting last January, in Kolkata. A few days later, between 25 and 29th of April, the Communist Party of India (CPI) will hold its 23rd Congress, at the city of Kollam in Kerala.